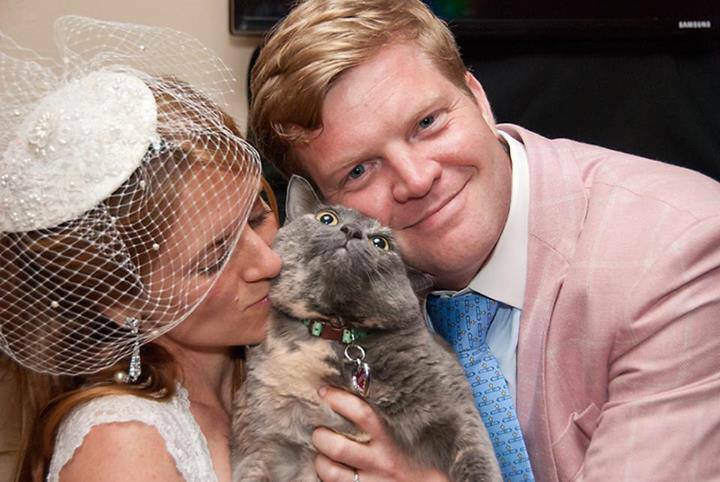 The bride and groom didn’t mind when Coco the cat upstaged them both in photos from their July 6 wedding. See the photos here. 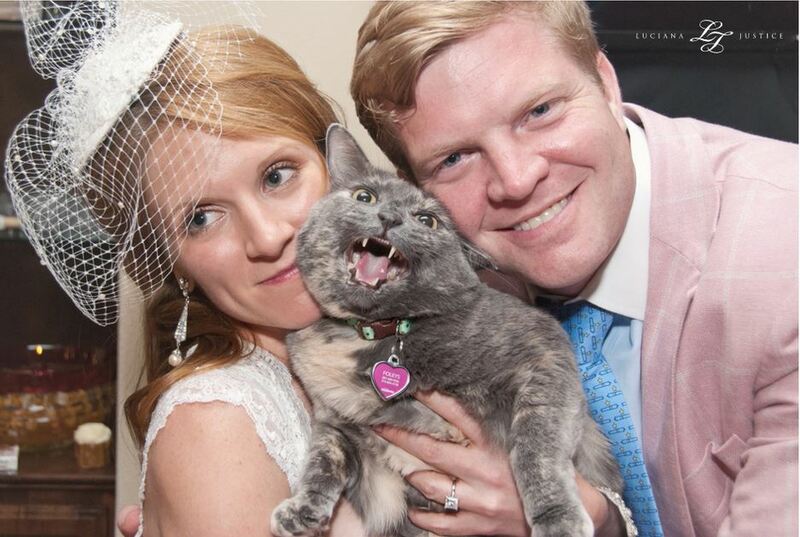 The bride and groom didn’t mind when Coco the cat upstaged them both in photos from their July 6 wedding. 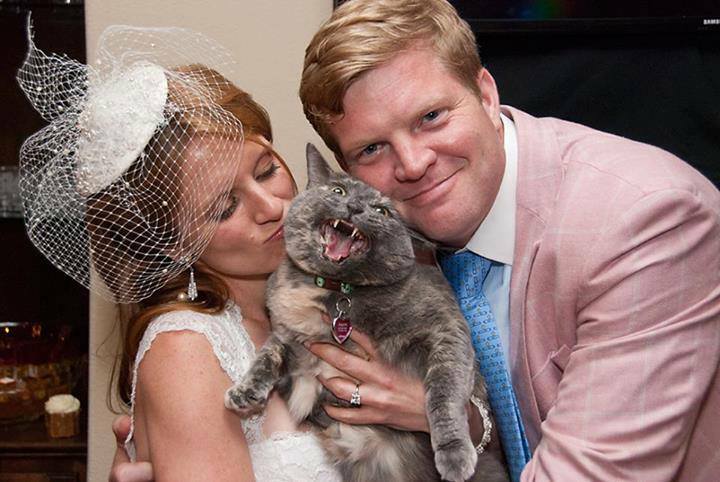 Houston, TX newlyweds Danielle and Justin Foley were super good sports when when their wedding photographer Luciana Justice noticed a cat at their small home wedding and asked if the couple would pose for some additional pics with her. 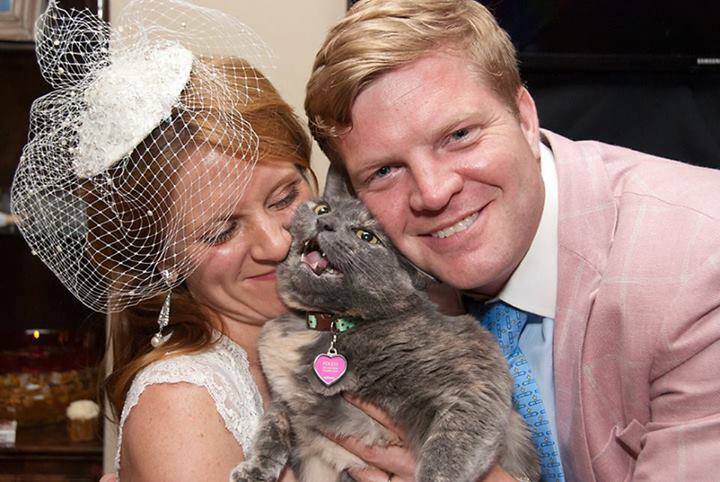 Luciana writes in a post at her Luciana Justice Photography website: “After the ceremony I noticed the couple had a beatiful cat (just learned she’s a rescue!). 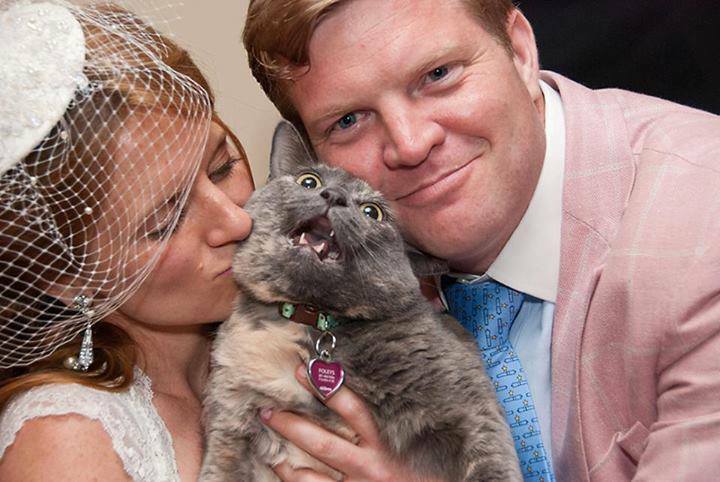 If you know me you know where this would go, while doing the family formals pictures I asked: – Could we take a picture with your cat? Luciana took on the wedding assignment by chance when she got a call from a friend, and the internet is rejoicing as Coco’s wedding pics go viral. According to Luciana, Coco is a rescued cat with a sad history and beautiful happy ending. While we do not know Coco’s full story, we know she was adopted in 2011 after being in residence at Friends for Life in Houston, TX for quite some time. 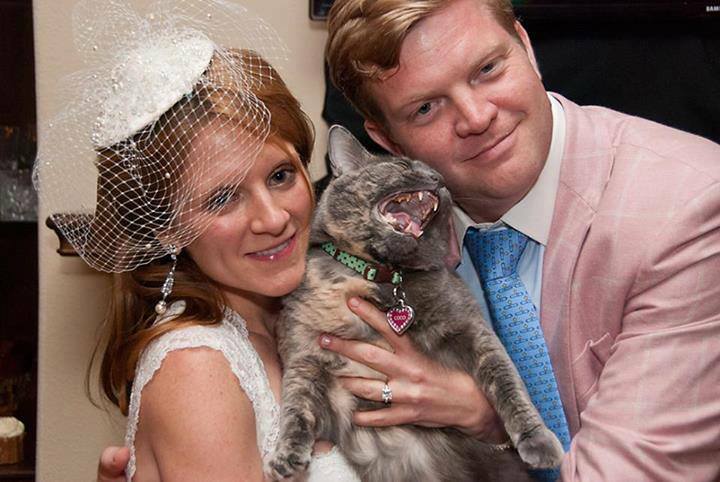 Reddit user neahtmusic got the ball rolling on Coco and her wedding pics with the post Cat + wedding = happy cat. The happy couple in one of their photos sans cat. 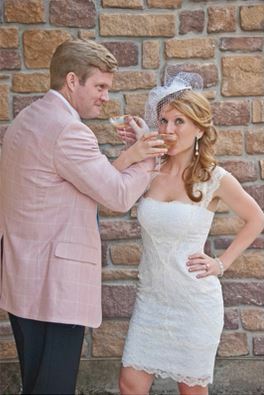 We are grateful to Luciana Justice Photography for permission to share these wonderful photos. Please visit Luciana’s site, and please, especially, give Luciana Justice Photography at Facebook some love. You’ll enjoy seeing her photos there. 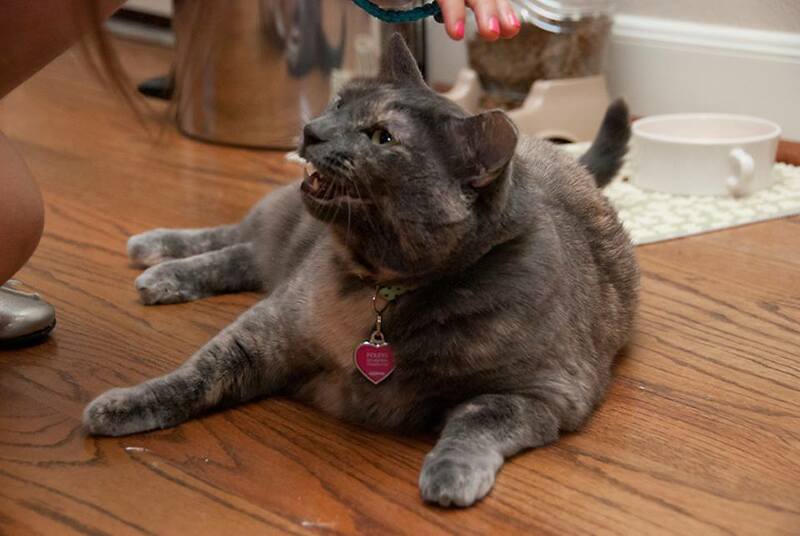 Coco is a 7 year old domestic short hair. She is a diluted calico, pinky peach (I swear), gray and cream in color. Justin and I adopted her three years ago from a no-kill shelter here in Houston called Friends For Life, not too long after we started dating. Her story is so tragic! She had been living in the shelter for a little over two years! What we were told is that because she is an unusual color her prior owner bred her every time she came in heat during her first two years of life. She bore a lot of babies, but none with her coloring/markings. Those horrid people abandoned her and her last set of kittens at the vet! Thankfully that vet is connected with the shelter (volunteers time there) and he took her little family there. Of course the kittens went quick, so cute, but a big momma cat is harder to find a home. One day in May, a few days after her fourth birthday (she is a Taurus like both her momma and daddy), we stopped by the shelter’s mobile adoption while running errands, not even really intending to get a pet at that time. I’m as much a sucker for kittens as any one and immediately found a little baby still being bottle fed that I wanted, I didn’t even look past that first cage. Justin, however, spotted Coco in the back and when I brought the little kitten to him he said “nope, that’s our cat”, pointing at Coco. I went over to check her out, but Justin wouldn’t even hold her, said he couldn’t bare it unless we were taking her home. And once we heard her sad story, there is no way we could leave her there! After jumping through a few hoops, we did! Im so glad we stopped that day, and that Justin’s heart went out past the kittens and to her. She truly has more personality than any animal I’ve ever seen, and we absolutely adore her. Such a character! And although she doesn’t like loud crowds, as I mentioned earlier, she loves us and never leaves our side. And although she doesn’t like to be held and definitely isn’t a lap cat, wherever we go in the house she jumps up and sits right next to us, just barely not touching, and chats. She has an impressive vocabulary. She’s a lucky cat! From what I can see she was probably only held (against her will) for only a few moments. They’re fabulous photos!